It is a proud moment for our country as well as for Tata Motors. India now has entered the Guinness book of world records for the longest journey made in a four wheeler. A few simple men with a passion for driving have set for the world a new record in their own way. This man, Srikarunya Subrahmanyam, travelled throughout the country in his Tata Nano marking the longest journey in a car. Srikarunya, who is in true sense passionate when it comes to driving, was appreciated by the team of Tata Motors. He decided to explore the country and get true pleasure from his passion. He stepped out in his Nano with his team and in a span of 78 days they covered the mighty area of this country. This not only is a great moment for Srikarunya and his team but for Tata Motors as well. Hence, Tata Motors awarded the entire team for proving to the world the power of true passion and also for having faith in their Nano. 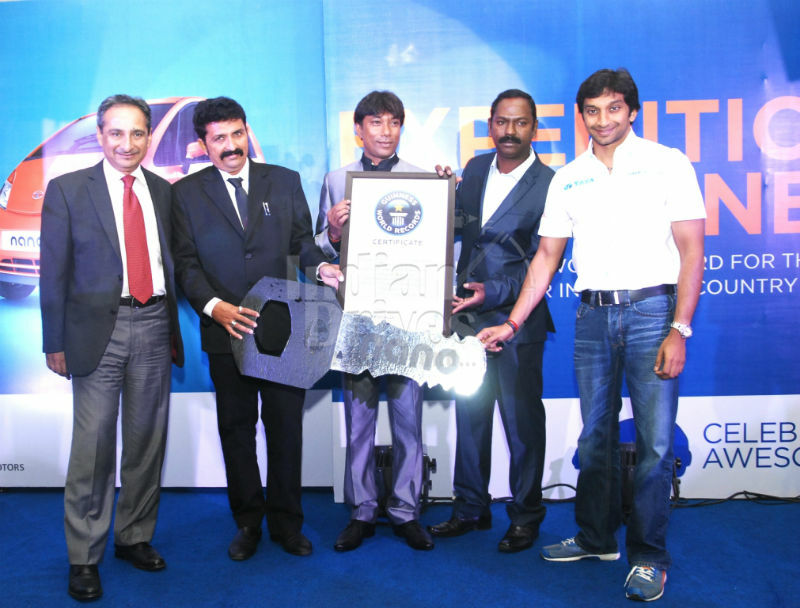 Present at the event were President of Tata Motors, Mr. Ranjit Yadav and the Indian F1 star, Narain Karthikeyan. 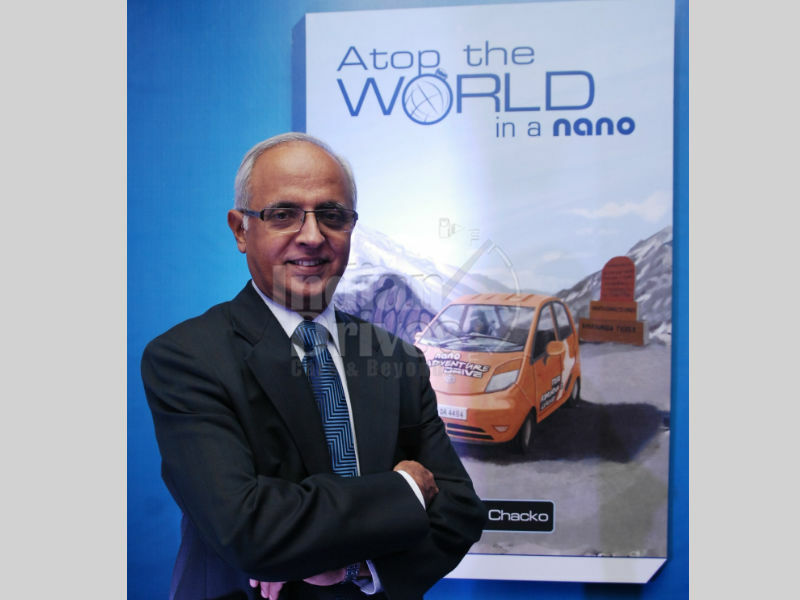 Apart from felicitating the team, they also unveiled the book “Atop the world in a Nano”. This book explains the 78 day long journey of a 63 year old man, Thomas Chacko (one of the team mates). It talks about his passion for driving and his amazing journey in a truly amazing car- Tata Nano.